WHY ARE THE LEAVES ON MY LEMON TREE TURNING YELLOW? If you have ever grown lemon trees before then you will know that they are not a particularly difficult species to look after. However, it doesn't take long for those glossy, green leaves to start losing their rich, verdant colour. Whilst the new growth will still open out in that gorgeous bronze colour, they eventually mature to a light green, maybe a yellowish green, or worst still with interveinal yellowing. Why should this be? Well, if you are from northern Europe then your specimen lemon tree was probably produced in that famous, north Italian growing region of Pistoia. There you will find row upon row of stunning citrus specimens - all pot grown - connected to nutrient rich, drip feeds. So why should there be a problem when you get your lemon tree home. The problem is this. If your soil has a neutral pH or worse still veers on the side of alkalinity then your lemon trees will have difficulties when it comes to taking up the nutrients iron and magnesium through the roots. This is a physiological disorder known as Chlorosis. Unfortunately lemons have a particularly high need for magnesium, however, knowing this means that you can treat the problem. Chlorosis is a common term used to describe symptoms of uniform yellowing of leaves. 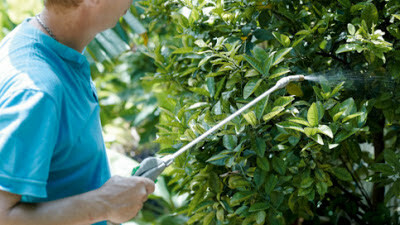 It may be caused by any number of stresses and although it can affect many plant families is is most commonly seen in acid loving plants - generally known as ericaceous, but this is not strictly accurate - such as Rhododendrons, Camellias, Pieris, Liquidambar and of course citrus. In alkaline soils, plants from the Ericaceae family have difficulties in taking up iron and magnesium from the substrate through the roots. This is typified by the characteristic interveinal yellowing of the leaves as both iron and manganese are vital for the formation of the green chlorophyll pigments within them. This characteristic patterning is a direct response to these specific nutrient deficiencies and occur because the chlorophyll pigment found in the vascular bundles – the leaf veins – will remain unaffected for longer periods than chlorophyll pigment found in the cells between the vascular bundles. Also, because of the low mobility of iron within the plant and relatively higher concentrations within older leaves due to the formation of iron binding proteins, leaf discolouration is far more prevalent in the new, juvenile leaves found near to the growing points. In extreme cases newly formed leaves can grow through almost pure white in colour. Chlorosis can be treated by spraying the leaves with soluble iron foliar feeds every 2 - 4 weeks or by lowering the soil pH. This is achieved by applying chelates, ferrous sulphate, aluminium sulphate, or sulphur to the soil surface and allowing them to dissolve into the soil by watering and rainfall. A traditional method used by Victorian plantsmen was to add a tablespoon of Epsom salts, dissolve it in half a gallon of water and water it in at the base of the plant. Alternatively, apply as a foliar spray. 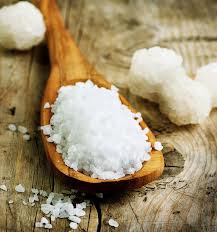 Epsom salts are the common name for magnesium sulfate and are used to correct magnesium deficiencies in soil. This is something that lemons are particularly prone to as they are particularly magnesium hungry. At the very least, use soluble, acidic plant fertilisers such as Miracid or Sequestration as a weekly liquid feed. Be aware that it will take weeks and not days for the effects to show through. How do the Italian growers solve this problem? Well, as mentioned before, the irrigation drip pipes also have nutrients pumped through them. Nitric acid is also added to the nutrient mix which helps to prevent the buildup of nutrient scum inside the irrigation pipes. The nitric acid also reduces the pH within the soil enabling the uptake of iron and magnesium and also providing additional nitrogen to the roots. The upshot of this is dark green, glossy leaves. 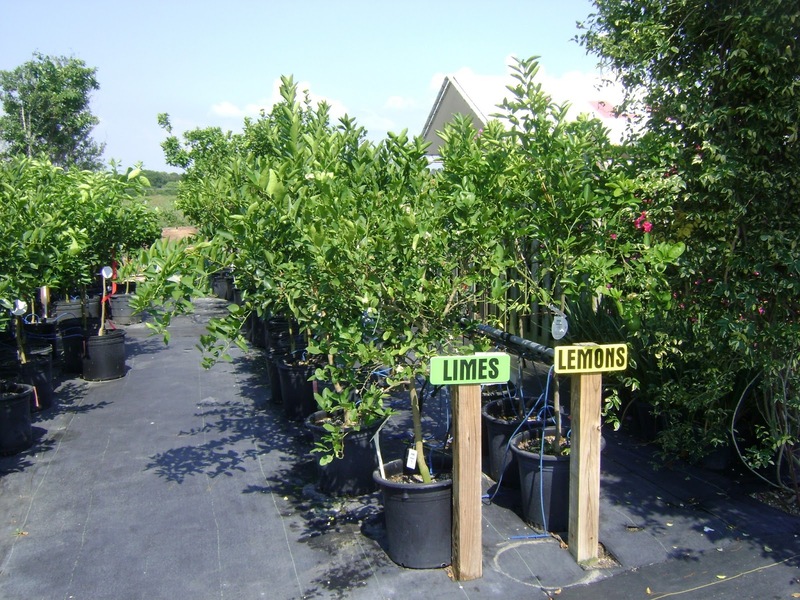 However, once you take the lemon tree off the irrigation system and water it straight off the tap, nutrient issues arise and the leaves begin to turn yellow in response.